After serving two tours of duty in Afghanistan, First Lieutenant Matthew Henry Martin, returns to Meadowvale, his beloved hometown nestled in the beautiful Shenandoah Valley of Virginia. Wounded in a roadside IED attack that killed two of his comrades, Matt’s devastating leg injury ended his military aspirations. At 25, he’s earned his degree but unemployed and facing a move back into his childhood home. Surely God has a higher purpose and plan for his future? Lesley Ann Randall is a woman on a deeply personal mission. A small Virginia town is the last place her older sister, First Lieutenant Faith Randall, was spotted. Could a sleek red Mercedes hold the clue to her whereabouts? When Lesley speeds into Meadowvale, she immediately captures the attention of the sheriff, the pastor, and a handsome war veteran with secrets of his own. When these two join forces, will they discover something greater than they could ever have imagined? 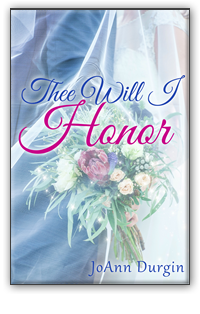 In this second book in The Treasured Vow Series, join the adventure with Matt and Lesley as they navigate romance, mystery, adventure, and cutting edge issues ripped from today’s headlines—all within the pages of an inspirational novel with heart and humor celebrating faith, family, and love.